Buy Paras Pharma Products Moov Neck and Shoulder Pain Balm, Itch Guard Cream, Krack Soft Heel Gel, Dermicool Powders & Hand Sanitizer. Moov Neck & Shoulder is fortified with the power of ‘Oil of Wintergreen’, which acts as topical pain reliever and provides fast relief from muscle cramps. Moov Neck and shoulders is a non- greasy formula with a pleasant fragrance. The specialized Ayurvedic ‘Fast Pain Relief Formula’ with the power of Nilgiri Oil contains other active ingredients such as Tarpin Oil, Oil of Wintergreen and Mint flowers. Penetrating deep inside, MOOV produces warmth to target and relieve pain. 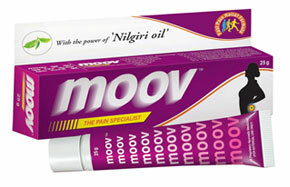 Moov is 100% Natural Ayurvedic preparation. It's 'Fast Pain Relief Formula' relaxes the muscles and provides fast relief. 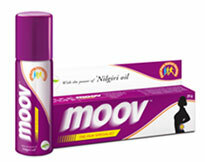 MOOV is also available in an aerosol spray. Ideal for consumers with hectic lifestyles, prone to recurring backaches, they can now avail of instant pain relief by means of a spray. Ideal for sports persons, this spray is convenient and easy to use. Itch Guard powder with its unique ‘Soothing Absorbing Maintenance Therapy’ absorbs excessive perspiration and soothes the skin. It is fortified with Clotimazole, an antifungal, which helps fight against skin problems like prickly heat, itching, rashes and infections. ItchGuard as a brand encompasses both medical as well as lifestyle values. Because, sweat is integral to a hectic routine. And so, ItchGuard is now being looked upon as part of daily hygiene, complimenting active life. Power of 7 Herbs with Kokum butter Hydrates, Softens, Smoothes. Do you have? Mild cracks, hard heels. Do you desire? Smooth and soft heels What you Get? Younger looking baby soft heels. Krack Happy Feet repairs and relieves dry skin disorders such as rough and cracked heels, chapped hands, fissures and chilblains. Also helps in minor burns, cuts and wounds. Krack Happy Feet cream is specially formulated to give you effective relief from sore, cracked heels and hardened soles. 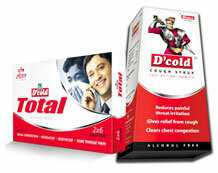 In DermiCool, one could see the medicinal benefits combined with the real feeling of goodness. This once again brought to forfront the philosophy of Paras - cure and care, together. Using DermiCool Instant Hand Sanitizer prevents the spread of ‘Hand-to-Mouth’ diseases which lead to gastrointestinal & infectious diseases. It works by stripping away the outer layer of oil on the skin. This usually prevents bacteria present in the body from coming to the surface of the hand and prevents the diseases transmitted through pathogens. 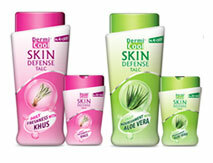 DermiCool Skin Defense Talc defends your skin against the environmental heat. It absorbs sweat and helps in reducing body heat to keep it cool, and refreshes your senses throughout the day. For the first time in India, here comes a range of body talcs that is enriched with natural ingredients like Khus, Aloe Vera, Mandarin oil and tea tree oil. The natural goodness of each Skin Defense talc works in its own special way to keep you fresh, active and ‘Surakshit Hamesha. Prolonged exposure to water, humid environment and excessive heat, results in a skin affliction called ringworm, commonly know as 'daad'. And in a country like ours, where this is a common occurrence, people had been largely unaware of the fact that ringworms are infectious too. 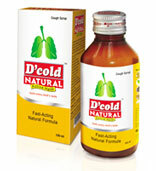 D’Cold Natural Cough Syrup is a powerful and unique combination of 11 natural ingredients that give instant relief from cough, cold & sore throat. It is an ayurvedic syrup, fortified with Active Haldi & other 10 natural ingredients is targeted at children and adults.